This has totally amazing concentration on the nose. Spicy, warm and decadent blackcurrant aromas award this the "green jacket" for most seductive nose of the week. It has a beguiling richness and weight in the mouth which is almost viscous but not even vaguely cloying. Sensational in everyway this château is just going from strength to strength, and this fabulous wine could easily surpass their recent triumphs (2008/2006/2005) and even the legends of the past (1945/1959/1961). Multilayered, magnificent, Mouton! 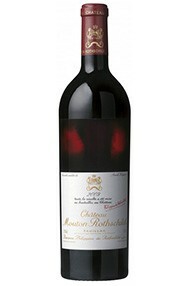 The Wine Advocate - Deep garnet colored, the 2009 Mouton Rothschild gives up bold earthy notions of underbrush, tilled soil and fungi over a core of crme de cassis, plum preserves and Indian spices with a waft of camphor. Full-bodied with a firm, velvety tannin texture and packed with black fruit preserves and exotic spice layers, it has seamless freshness and a very long, decadently fruited finish. Wine Spectator - I am speechless over the nose in this wine. Mint, blackberry, currant and black licorice turn to flowers such as lilacs and roses. Wow. It fills your mouth with the same fruit, but with an intensity of superpolished tannins. It finishes with complex yet reserved coffee, toasted oak and ripe fruit and then in two or three minutes it becomes milk chocolate. Just a joy to taste. Best Mouton since 1982 or 1986; in fact, it's like a bend of the two. A perfect Mouton? 88 percent Cabernet Sauvignon and 12 percent Merlot. 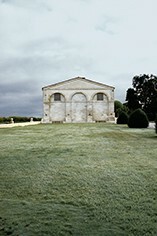 Parker - The 2009 Mouton Rothschild has a striking label from Anish Kapoor. The wine is a blend of 88% Cabernet Sauvignon and 12% Merlot that begs comparison as a young wine with what the 1982 tasted like in 1985 or, I suspect, what the 1959 may have tasted like in 1962. Representing 50% of their production, the wine has an inky purple color to the rim and not terribly high alcohol for a 2009 (13.2%), but that is reflected by the high percentage of Cabernet Sauvignon. It has a remarkable nose of lead pencil shavings, violets, creme de cassis and subtle barrique smells. It is stunningly opulent, fat, and super-concentrated, but the luxurious fruit tends to conceal some rather formidable tannins in the finish. This is an amazing wine that will be slightly more drinkable at an earlier age than I thought from barrel, but capable of lasting 50 or more years. Kudos to the Baroness Philippine de Rothschild and the entire Mouton team, lead by Monsieur Dalhuin. Decanter - Black red, concentrated black fruits, rich satiny/velvety yet firm texture, rich, plummy, spicy, an explosion of aromas and flavours, surrounded and controlled by superb tannins, a sensually expressive wine.